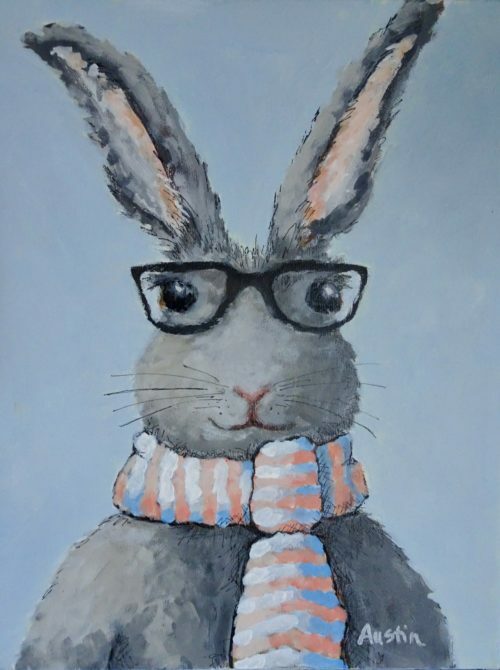 The Lovin’ Spoonful sang a song titled “Do You Believe in Magic” and it came to mind as I painted my story book rabbit. So it seemed fitting to name my rabbit Magic. Magic is a very happy rabbit loves to read and loves to learn. I had fun as this character emerged through the paint on the canvas! !